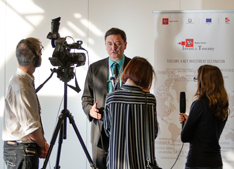 The Commission aims to promote cooperation between capital companies and partners in Italy. 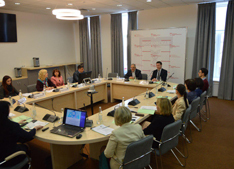 Interregional Business Conference in "New Moscow"
Joint meeting of HR and PR committees of the Association of European Businesses at the Chamber of Commerce and Industry on April 23, 2018. Italy is bordered by France to the north-west (the length of the border - 488 km), with Switzerland (740 km) and Austria (430 km) - in the north and Slovenia - in the north-east (232 km). Also has internal borders with the Vatican (3.2 km) and San Marino (39 km). 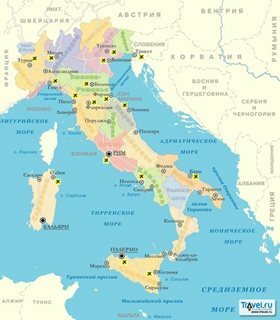 Occupies the peninsula, the Balkans (small part) Po plain, the southern slopes of the Alps, Sicily, Sardinia, and a number of smaller islands. Advantages: huge state budget (972 billion dollars. As in 2012, 7th in the world). Competitive middle class. Specifies the fashion world in the design, manufacture and production of Clothing and home appliances. Leading companies include Fiat (car industry), Montedison (manufacture of plastics), Olivetti (communication), Benetton (clothing). High-performance agriculture and production for tourists famous fashion houses. The vast cultural heritage makes Italy one of the most attractive to tourists in Europe and the world, with the possibility of infinite development of the tourism sectors of the economy. Weaknesses: the public deficit and debt growth is still high. Small growth of the economy, inefficient services, which has been intensively privatized. The unequal distribution of wealth between the rich North and the poor South, where unemployment is 2 times higher. Lack of fiscal discipline, improve in Recently. Relatively small, focused on international competition enterprise. Heavy dependence on energy imports. Italy - a highly developed industrial-agrarian country. predominantly industrial and a highly developed north and the poor, agrarian south. Gross national product per capita $ 30 000 population. annually. Leading industries: machinery, metallurgy, chemical and petrochemical, light and food industries. Italy among largest manufacturers and suppliers to the world market cars, bicycles and mopeds, tractors, washing machines and refrigerators, writing and countable machines electronic products, industrial equipment, steel pipes, plastic and man-made fibers, tires, as well as ready-made garments and leather shoes, pasta, cheese, olive oil, wine, fruit and canned tomato. large production of cement, natural essences and essential oils of flowers and fruit, art glass and pottery, jewelry. Extraction of pyrites , Ore of mercury, natural gas, potash, dolomite, asbestos. In agriculture, the predominant crop. The main crops - wheat, corn, rice (1st place for the collection in Europe and more than 1 million tons per year), sugar beets. Italy - one of the largest in the world and Europe's leading manufacturer of citrus (over 3.3 million tons per year), tomatoes (more than 5.5 million tons), grapes (about 10 million tonnes. per year; more than 90% is processed into wine), olives. Developed floriculture and poultry. Italy - the largest area of ​​international tourism (over 50 million people per year). Tourism in Italy is one of the leading sectors of the economy and accounts for 12% of GDP. On Italy accounted 5.6% of the world tourism market. For this indicator, the country ranks third highest in the EU after France and Spain. The total number of economically active population: 24.86 million (in 2007), of them are employed in agriculture 4%, industry - 31%, the tertiary sector - 65%. Because of the small area and high population density, in modern Italy is an issue of recycling. Italy on the economic level is intermediate between the most economically developed countries and middle-income economies productive forces. As well as other advanced countries, Italy Industry is the leading sphere of the economy, although it occupied a smaller of the economically active population than in intensively and disproportionately growing service sector. The cost of industrial production exceeds the cost of agricultural production, in which invests less capital than in industry. 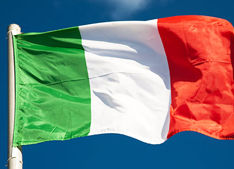 Industrial products predominate in Italian exports. A significant part of the national wealth in the hands of the Italian monopolies most of which are among the largest corporations in the capitalist world. They dominate in the chemical and electrical industries ("Montedison") in a car (Fiat), as well as rubber ("Pirelli"). At the same time, there are a myriad of medium, small and very small firms mainly in textile and food industry as well as in the production of household electrical appliances, equipment for processing plastics, in some sub-sectors of the machine tool. Beginning with the 1970s, there is a tendency to reduce the large and increasing role of small and medium-sized companies and enterprises. 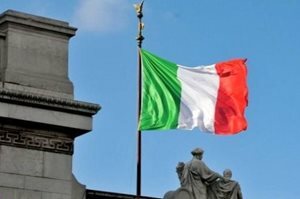 Italian state actively and in various forms intervenes in the economy country: its specialized agencies involved in the joint-stock companies in as controlling shareholders, are industrial enterprises in accordance with various government programs. The state has become the country's largest employer. It is particularly strong position in the energy sector, metallurgy, shipbuilding. He owns many businesses in this light industry. Nationalized the largest banks. The pace of development the public sector exceeds the development of the Italian economy as a whole. In modern conditions, government intervention in the economy can not be reduced to to help individuals develop the least monopolistic associations particularly profitable or require large capital investment industry. Summary purpose of government intervention - to ensure continuity of the process reproduction. Important new feature of the development of state-monopoly capitalism in Italy became a national long-term programming of the economy, reflecting an improvement in the concentration and centralization of production and capital, growing monopolization and nationalization of the economy. The global crisis has exacerbated many of the economic problems in Italy. By the size of the deficit budget and public debt Italy is among the top five "leaders" of the euro zone. Thus, the ratio of public debt to GDP in Italy there is more than 100%. Recovery program of the Italian economy involves freezing salaries and postponement of retirement of civil servants, the reduction of funding for regional administrations, as well as tighter control over tax evasion. Italian opposition believes that, as in other countries, have approved similar measures, the perpetrators of the current crisis go unpunished. The information will be added later. 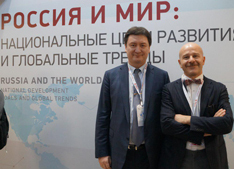 Amteco S.P.A. is interested in finding partners and cooperation with Russian companies for the implementation of products in the markets of Russia. Domain: Company Amteco S.P.A. engaged in the manufacture, installation and maintenance of telecommunications networks and fiber-optic cables. 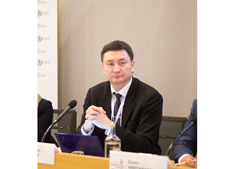 COEM interested in finding partners and cooperation with Russian companies for the implementation of products in the markets of Russia. Domain: COEM company provides a full range of services for the production, sale and support of hydraulic and lubrication systems (pumps, hydraulic valves), accessories and related products. 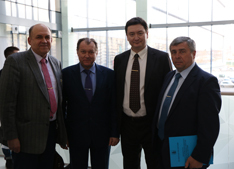 Modar Coil Coating Europe is interested in finding partners and cooperation with Russian companies for the implementation of products in the markets of Russia. Domain: Company Modar Coil Coating Europe specializes in the production of colored aluminum coil (coil-kouting) and paints. and related products. Association of Italian enterprises "Confindustria Rousseau"